Facebook is buying WhatsApp Messenger for a staggering $19 billion. Time will tell if that's a wise investment, but CIO.com blogger James A. Martin has three good reasons why the free app is unique in the crowded messaging market. Facebook announced on Wednesday that it plans to buy WhatsApp Messenger for $19 billion. The buyout, rumored for more than a year, raises the question: Just what does the SMS-alternative messaging app offer that makes it worth so much money to Facebook — and $1 a year to its users? First, a little background. WhatsApp Messenger is a free app that lets you send text messages with photos and videos from your smartphone, bypassing your wireless carrier’s SMS and MMS charges. After a year of use, you pay $1 per year. Recipients of your messages need to use the app as well. WhatsApp Messenger has at least three compelling qualities. 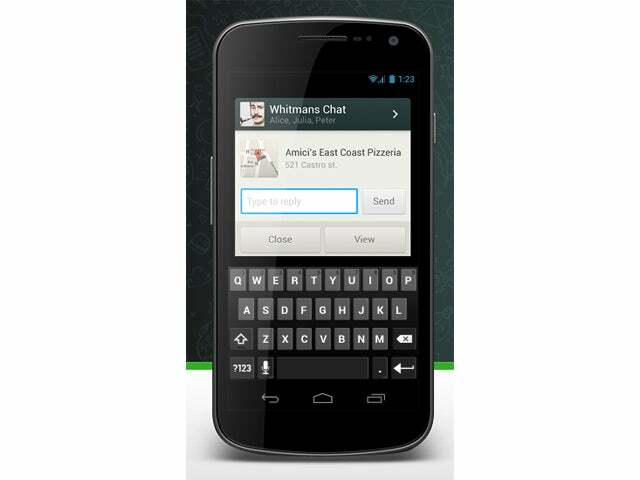 WhatsApp Messenger is available for Android, iOS, BlackBerry, Windows Phone and Symbian. (Yes, even Symbian!). However, the app isn’t alone in this regard. For instance, Kik Messenger, another popular messaging app, is available on Android, iOS, Windows Phone, BlackBerry and some Nokia phones. So WhatsApp Messenger gets kudos in this regard, but no gold medal. Still, most messaging apps are limited to a few platforms, usually iOS, Android, and Windows Phone or BlackBerry. A number of alternative free messaging apps include ads. WeChat, a free multi-platform messenger app that’s big in Asia, includes advertising. BlackBerry announced last fall it would be bringing ads to users of its free BBM apps on Android and iOS. Apple’s free iMessage service doesn’t include ads — but you’re limited to communicating with other Apple devices. Also, though Kik Messenger doesn’t include ads, its legal page makes several references to the possibility of including ads in the future. Probably the top reason Facebook spent mega dollars on WhatsApp Messenger is its user base. Currently, it has about 450 million monthly users. Of those, about 320 million log into the app daily, according to WhatsApp. The number of messages shared via WhatsApp is nearly equal to the “entire SMS messaging volume globally,” said Facebook CFO David Ebersman during a conference call with reporters, as reported by The Wall Street Journal. The app is extremely popular in Europe, Latin America, India and Asia. In comparison, Viber, a messaging app for multiple platforms (including desktops), has about 300 million users. Kik Messenger has about 100 million, and BBM has about 80 million. Does that big user base make WhatsApp worth a total of $19 billion? When you recall that Facebook paid $1 billion for Instagram and offered $3 billion in a thwarted attempt to buy Snapchat, the WhatsApp figure seems absurdly, if not ostentatiously, inflated. But who knows? Facebook certainly has the resources to build WhatsApp into a messaging powerhouse. And with its $1/year model, at least WhatsApp has a reasonable source of potential revenue. Speaking of that $1 a year (after the first year of free service), it’s a great deal, especially for anyone who travels abroad or wants to message people in other countries. I’m planning to use WhatsApp a lot during an extended trip to the United Kingdom this summer. Anything is preferable to paying $10 for 100 messages on AT&T — especially because I already have an unlimited texting plan.